One of the biggest things I have seen reoccurring over the last 6 months or so is shoulder injuries. I am sure you have seen the person with rounded shoulders that looks like they are slouching all the time. Being chronically pulled into that position, plus trying to force more shoulder external rotation leads to adding stress to the rotator cuff muscles and the joint capsule of the shoulder. A lack of understanding of how the shoulder works both on the body and in the golf swing. The shoulder blade is hugely important as it travels around the torso to deliver the arm where it wants to go. If the shoulder blade doesn’t move well, then the shoulder joint proper will be strained. All this talk about the shoulder is fine, but what transfers energy most directly from the shoulder to the core (especially in the golf swing)? I believe it is the serrates anterior muscle. The serrates connects from the shoulder blade to the rib cage and directly to the external obliques. 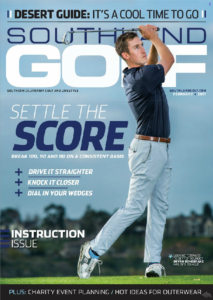 If that serrates muscle is asleep, then typically, we will see the “armsy” style golf swing, and poor sequencing of the arms getting ahead of the body in downswing. 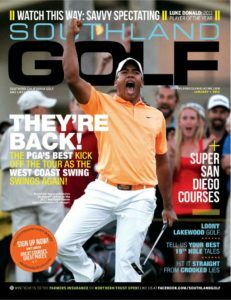 Rhoy Khoury shows 5 easy exercises to improve flexibility and strength in Southland Golf Magazine Southern California Coastal Travel Issue. 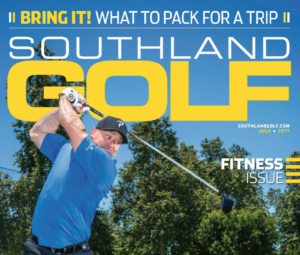 Roy Khoury discusses adding flexibility drills to your regular workouts to help keep injuries in check, in the July issue of Southland Golf Magazine. 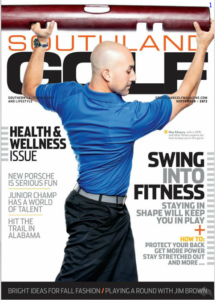 Roy Khoury shows off a golf fitness movement for the cover of Southland Golf Magazine. As a golf coach a big part of my job is to understand how people’s functional movement and physicality correlates to their effectiveness as golfers. I am always looking for mentors who can deepen and expand my understanding of this. Roy is one of those mentors. He is intelligent, well informed, and most importantly can apply what he knows to help people improve as athletes. I first met Roy years ago when I was having trouble with mobility in my feet and ankles. He was recommended to me by a fellow golf professional. I had been to many doctors, physical therapists and trainers, none of whom were able to get to the bottom of how to fix my problem. Roy was unique. His thorough approach to assessment and diagnosis made all the difference. Not only did he help me improve my movement pattern but he also helped me understand the why of what was actually going on. Roy’s guidance has made me a better golfer and a better golf coach, which means he has helped me to better help others. I personally know many athletes who have worked with Roy and everyone will tell you the same thing, he is organized, he is professional, and he cares! Roy gives freely of his knowledge and expertise. 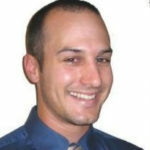 He has been a great friend and resource to the SCPGA. His kindness, passion and interest toward the individual standing before him is immediately evident. 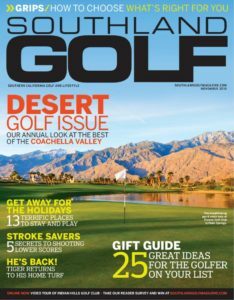 In May 2016, I saw Roy for an evaluation after almost two years of persisting back and hip issues that were affecting my quality of life and keeping me from my passion, competitive golf. I traveled all the way from Michigan to see him, and couldn’t be happier that I did. 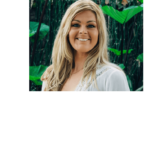 After assessing me, Roy developed a customized program that included highly specialized stretches and exercises that got me feeling better almost immediately. Since I was from out of town, I really appreciated the photos he sent me via DropBox that showed the perfect positions for my stretches and exercises. And when I had questions, he went above and beyond for me, using email and FaceTime to supply answers. He even helped me find a reliable trainer in my area, so I could continue to improve my conditioning and get back on the course. 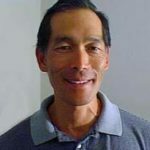 As Editor-In-Chief of GolfWRX.com, I work with a lot of highly qualified fitness experts, and Roy is certainly one of the best, especially in the world of golf fitness. I can’t thank him enough for his help.